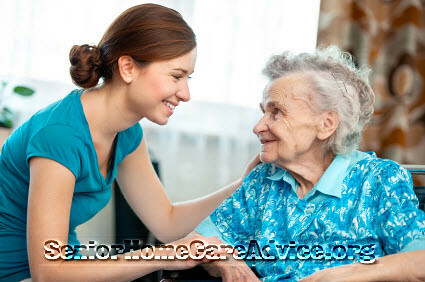 Taking care of a senior is very critical and we must always be alert for health warning signs. As people advance in age, especially when in advance stages of Alzheimer’s or Dementia, they may appear to be more childlike. If an elderly person has dementia, there may be specific things that he/she take special interests in while losing focus on other important things in their life. We must be aware of any Health Warning Signs. Older folks generally require special attention, and there are times when as a caregiver you will notice that they have started to develop changes or new behaviors. Depending on age, you may notice that some older folks forget minor things and have a low concentration on what they are doing. Others may develop new sleeping habits while some have difficulty sleeping which makes them restless. As a caregiver, there are six signs you should never ignore at all cost. This happens mostly when you serve a cold meal. They may feel a sharp twinge or dull throb. This warning sign is primarily associated with a damaged tooth nerve due to cracking or rotting of the pearly white surrounding. If you ignore this, the bacteria continue to develop , and it can infect the inner nerve system right from the mouth down the entire body. Instead of taking the older adult through a hard time trying to treat an already spread problem, a simple regular cavity check is necessary. It will help eliminate the problem with minimum side effects. A sharp, consistent pain on the right side can lead to severe problems and should be considered a warning sign. This may be an appendicitis problem or ovarian cyst. This pain is developed when something blocks the way where the appendix empties into the colon. As the organ gets dangerously inflamed, it can cause a dangerous and terrible pain. The inflammation may even lead to the organ bursting. The ovarian cyst or twist can block the blood flow to the ovaries within few hours. If this is the case, you may be looking for a possible emergency surgery. If you ignore the on and off right side pain in an old person, the damage may become unbearable. Often, the headache has been a normal problem with both old and young people. When you take long hours under direct sun heat, you are likely to feel the head pain. Another common reason for head pain is when you have excessive pressure to perform and deliver an individual task, but you don’t have the relative credentials to meet your target. This does not raise the alarm. However, if you notice extensive severe head pain, accompanied by other symptoms like a visual aura, a headache could be a warning sign. It can be a signal for a brain aneurysm. If this is the case, then the risks of the weak spots tearing or leaking may bring a severe headache. This problem can even block the blood supply to specific tissues due to escaping blood. At such times, you should ensure that you keep the old person under immediate physician watch to make sure that the problem is regulated before it gets out of control. Most seniors face back pain. This is a problem that you will often note after extreme seating or bending. When the old person gets into activities that involve seating, bending or jumping up and down, you will find that they are not actively engaging in the activity. Back pain problems also are attracted to an issue with the bones. If you note such issues, the appropriate thing to do is engage the person in activities such as body massage. Old people tend to have a short concentration span. This problem gets intense for those with Alzheimer’s dementia as they may even forget where their rooms are or what they were supposed to do within a particular time. Other older folks may not remember their name or other basic things like if they have eaten or taken a shower. The best way to help the person with their memory is by introducing short-term activities that will keep their brain more active. 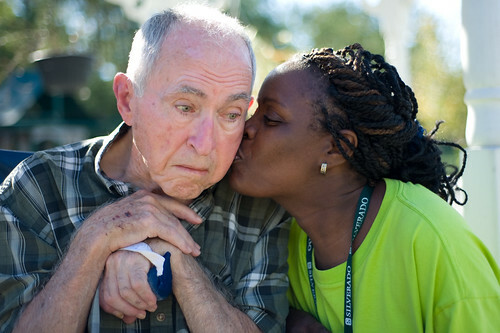 As a caregiver at Stroke rehab home, you should be able to tell when a senior within your watch does not eat. Often, loss of appetite can be a warning sign associated with symptoms of being sick. However, lack of appetite can also mean the person wants a change of diet. Therefore, you should always ensure you find out the problem behind the appetite loss.